NeoStrata Skin Active is a comprehensive antiaging system of potent professional products with active benefit ingredients that work synergistically to address the broadest spectrum of visible signs of aging. The NeoStrata SkinActive system is made up of high-performance products, each formulated to deliver outstanding rejuvenating effects, including significant improvement in the appearance of deep wrinkles, crow's feet, sagging and uneven pigmentation. 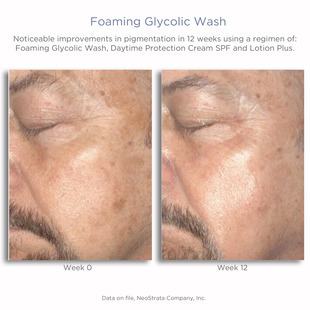 There's a reason NeoStrata Foaming Glycolic Wash has been a cult favorite for those in the know for years: Foaming Glycolic Wash is a potent, pH-balanced facial cleanser formulated with 18% Glycolic Acid and 2% Lactobionic Acid to smooth skin texture and unclog congested pores. Recommended for experienced Glycolic Acid users, this soap-free face wash prepares skin for optimal benefits of the regimen that follows. A potent, pH-balanced, foaming facial cleanser for experienced Glycolic Acid users who prefer a deep cleansing. Has a high strength, pH balanced soap-free face wash, formulated with 18% Glycolic Acid and 2% Lactobionic Acid to gently exfoliate, unclog congested pores, and enhances cell renewal it prepares skin for optimal benefits of the regimen that follows. (The high strength, ph balanced soap free face wash). Recommended for experienced Glycolic Acid users. This cleanser is recommended for experienced Glycolic Acid users who are ready to kick results up a notch. Best used as part of an anti-aging regimen, NeoStrata Foaming Glycolic Wash targets congested pores and encourages cell renewal for skin thatÃ¢â‚¬â„¢s prepared for optimal benefits of the regimen that follows. Once youÃ¢â‚¬â„¢ve tried it, youÃ¢â‚¬â„¢ll never go back to a regular face wash again. HereÃ¢â‚¬â„¢s to a fresh-faced, younger-looking you! You will not believe how adding this into your regimen of Vitamin C serum, Retinol and Glycolic Acid at Night, Antioxidant/Peptide serum or cream at night and Antioxidant/Sunscreen of at least SPF 30 Broad Spectrum in the morning it does for your skin. Skin looks amazing. if you can handle all of these for a good, basic regimen, then awesome. And you can keep it hidden downstairs or keep it upstairs out in the public eye if you want. This really adds to the rejuvenation portion of the "program". It takes away yucky, dead skin that is clogging up pores or making skin look unattractive by making the hyperpigmentation stand out. 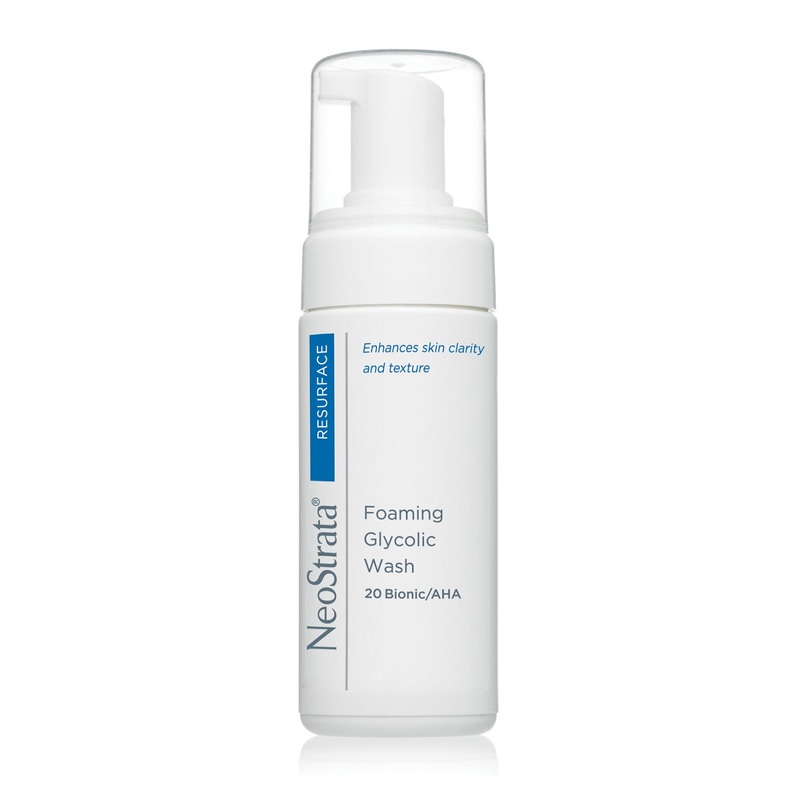 Get rid of the rest of your skin with this new cleanser from NeoStrata. Their Foaming Glycolic Wash is one of the better cleansers I have experienced lately. It actually gets the cleansing done. Skin ends up feeling fresh, clean and smooth. It feels this way most of the day, right? Then by the time it is to go to bed, your skin feels like it is now not fresh and needs to be cleansed again. So you cleanse it. WOW. Skin awake and fresh. Alive and clean. I love a good glycolic acid cleanser, this seems to be the best one out there. At 18% Glycolic Acid, it is good, it's almost neutral. And the pH level isn't too harsh, so it can't do much damage. Their most potent cleanser is formulated in an amphoteric system to capture the benefits of Glycolic and Lactobionic Acid while minimizing the potential for irritation, pH balanced (4.5). Use twice a day, once in the morning and once at night, as tolerated. Two times a day, pump a moderate amount of foam into hands. Apply to wet skin and cover entire area. Rinse with water. Comes in a large 3.4 fl.oz./100ML pump bottle. 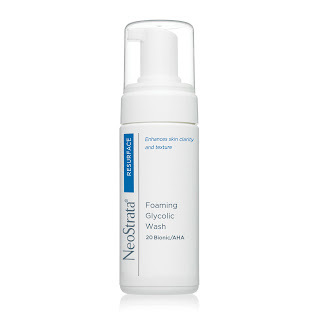 Find Neostrata Foaming Glycolic Wash on www.neostrata.com. It also sells online www.exuviance.com,www.dermstore.com, www.ulta.com and www.skinstore.com. Like NeoStrata on Facebook:https://www.facebook.com/NeoStrataCompany; Follow NeoStrata on Twitter:@neostrataskin; Follow NeoStrata on Pinterest: https://www.pinterest.com/neostrata/; Follow Exuviance on Instagram: https://instagram.com/exuviance/; Follow NeoStrata on YouTube: https://www.youtube.com/channel/UCf_jdb_vpqIWkgUcNRHIWIA; Follow NeoStrata on Google+: https://plus.google.com/+NeostrataIncPrinceton.